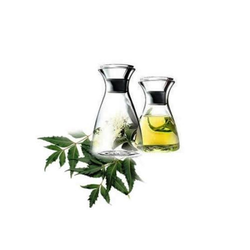 Keeping the variegated requirements of our customers in mind, we are instrumental in offering a flawless quality range of Neem Oil to our customers. This Neem Oil is extracted from neem seed and fruits using advanced machine. To attain maximum client satisfaction, we offer these products at most affordable rates. 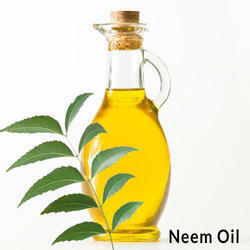 We are offering a wide range of Neem Oil. These products are widely demanded for various agricultural applications. This range of products protects the plants from pests and insects. To stand tall on the customers' expectations, we ensure to check these products on various quality parameters. We manufacture Neem seed oil.Azadirachtin content 300 ppm to 2000 ppm. he active ingredient azadirachtin is found in commercial insect growth regulators. we are capable of supplying good quality of neem seed oil which is self manufactured and at a very competitive rate due to local availability of rawmaterial. Capitalizing on the proficiency of our capable personnel, we have come up with well-formulated Neem Seed Oil.